This book…is not as yummy as I thought it would be. 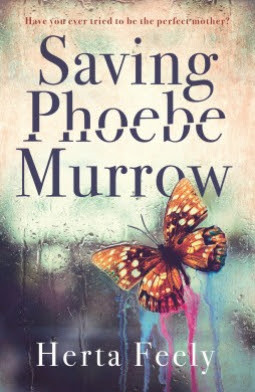 Unless my brain is addled by heat…it seems to be awkwardly written…Phoebe is a 14 year old with issues…she cuts…but the mix of the parents lives in this book is just odd. I am adding it to my list of failed choices. Sigh! So…today there is no fun…there is just enduring…hours without electricity…Internet, TV…a pretty much miserable day but hopefully by mid afternoon…there will be cooled chilled air! We wanted out of this house before we had to do this…no such luck! I have no clue what to read next…if anything…I am so hot and miserable I can’t even think! I'll know you'll be thankful to have the new air conditioner installed!! What a relief it will be when this is all over and you are nice and cool again! 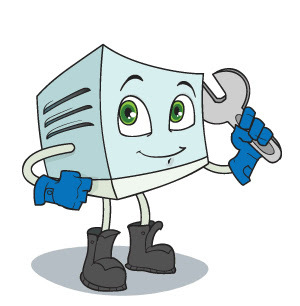 Our AC repair guy was here yesterday, for the THIRD time, and has decided we need a new fan motor…. anxiously awaiting for the part and his return 😦 At least it is cooler and a bit rainy here today. Oh, sending my thoughts your way…and I wish I could send some cool air. Sigh. I am sticking to tried and true authors I've already read…for a while, anyway. I am sorry that you are so hot. I have been in your boat before and every time I thank the person who invented AC. I can't believe how hot it is without it. My classroom was always a humid sauna- and I am lucky that now I am in the library- one of the only rooms with AC in my school. I hope you have some cool air soon! Installers are finished we are cool! I will say that once they get it working and your house cools off, you realize air conditioning never felt so GOOD! When ours quit and it took two days for the guy to come out, we got a window unit and just shut ourselves in the bedroom with the dog all weekend! It's working perfectly now…you are right…AC never felt better! I am glad this was resolved. It is miserable without AC. I hope you find some good reading, too. Hugs.